After the Men Fashion Weeks in Paris, London, Milan and New York, it was the turn of Berlin. Several German designers, but also Belgian brands (think Essentiel) are doing shows in the capital of Germany during this 4-day during Fashion Week. Next to these shows, some labels organized events or afterpartys & Olymp was one of them. 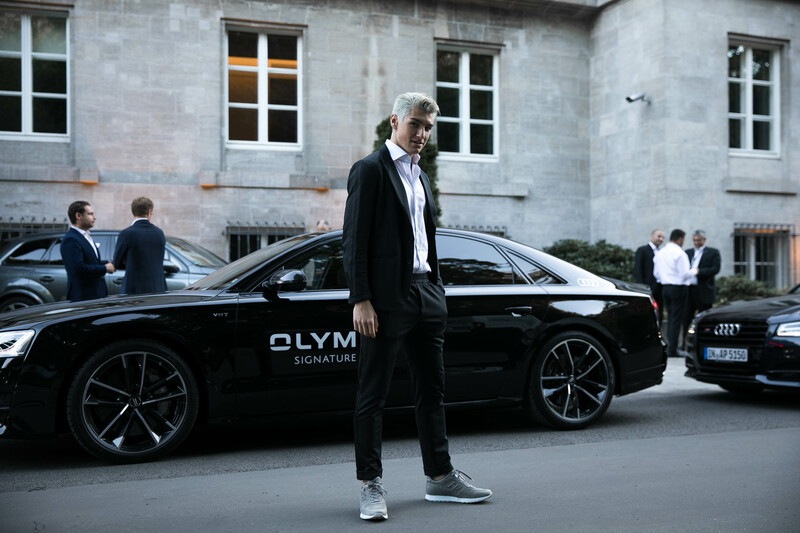 The German brand launched its new signature shirt during the first day of Fashion Week. The venue was the Das Stu hotel, were we also stayed. During that evening I was wearing a shirt of Olymp – OF COURSE –, a Hydrogen suit and Hogan shoes.